The combined operations room used by Nato during the 1960s at the height of the Cold War. 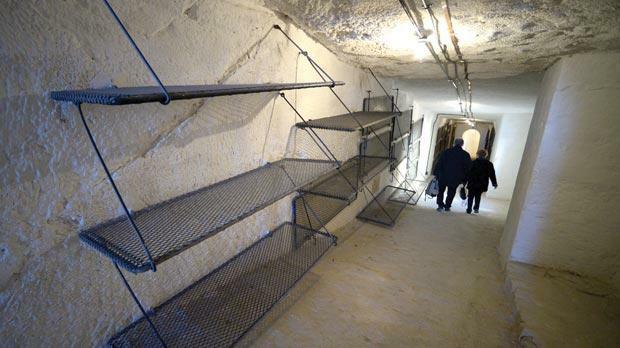 Foldable bunk beds in the communal dormitory in a tunnel passage which forms part of the counterguard. 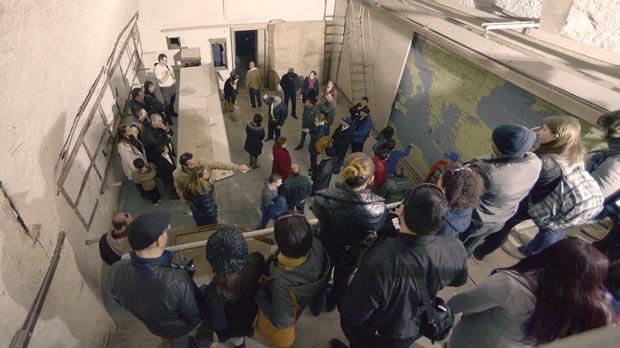 Once the most secret of places, the site that served as Malta’s nerve centre at the height of World War II was open to the public yesterday as it undergoes a €1.7 million restoration. 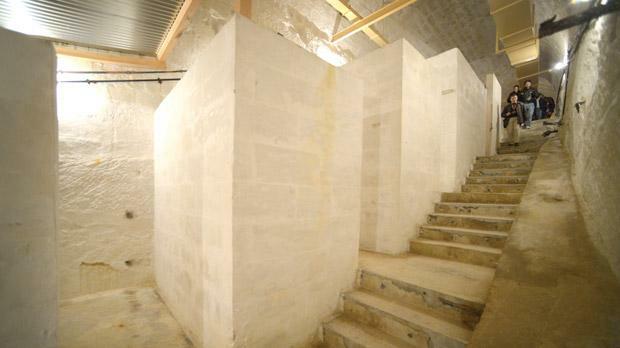 The War HQ tunnels, located under the Upper Barrakka and the Saluting Battery in Valletta, had been left dilapidated for decades. The heritage foundation Fondazzjoni Wirt Artna is now in the final stages of bringing the place back to its former glory and yesterday, as Valletta teemed for the feast of St Paul’s Shipwreck, it allowed curious visitors to get a glimpse of the restoration project. The project is set to be completed by summer but the foundation will be launching a daily tour from next month. The war rooms, from which the British coordinated the island’s defence during the ferocious Battle of Malta, were in action between early 1940 and February 1943. The main tunnel was originally excavated by the Knights of St John and used to link to communication gallery running from Battery Street to St Peter and St Paul Counterguard. During the British period it was expanded and a number of operation rooms were excavated. As the tide of the war shifted in the Allies’ favour, the war headquarters migrated to the site which is nowadays known as the Lascaris War Rooms. The latter played a crucial role in the invasion of Sicily in July 1943. Following WWII, the War HQ was used as a Nato communications centre during the Cold War years and as a submarine tracking centre by the British Navy. However, its importance gradually declined and the centre was closed down in 1977 – two years before the British forces left the island.